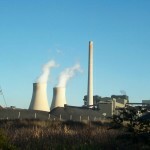 Gina Rinehart believes Australia is failing to stand up and fight against the introduction of carbon and mining taxes. 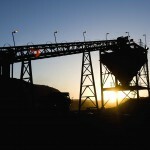 In a piece originally published in Australian Resource and Investment, the mining giant says more people should speak out about the taxes, which other nations can see as impractical, but Australia is being unresponsive to. “Not only is [Australia] maintaining its taxes, but bringing in two more messy taxes – MRRT and carbon tax – which will seriously undermine Australia’s competitiveness and increase our costs across the board. Some mainstream media like to attack me because I speak out against a carbon tax. It’s a pity more business executives don’t speak out, because this proposal should have been dropped long ago. Let me say how very proud I am of my fellow Australians, who, in recent polls, are voting in the majority against carbon tax. We are showing we can think for ourselves, and are not swayed by the global warming fear campaign. Remember when the mainstream media was running frightening commentary about carbon-induced global warming? We read and heard about how oceans would rise, flooding our homes, and how, over years, we’d be scorched due to the increasing heat. Have you noticed that we don’t hear much any more about global warming? The theme has now changed to carbon-dioxide induced ‘climate change’. Let’s consider climate change – the world has constantly changed climate and will continue to do so. Even before human civilisation, the world went through ice ages and periods of global warming. There will always be changes that affect our climate, even if we close down all thermal-fired power stations, steel mills and other manufacturing operations, putting employees out of work and drastically changing our way of life. Furthermore, there will always be geothermal activity that spew out heat and ash and this activity does affect the climate. I am yet to hear scientific evidence to satisfy me that if the very, very small amount of carbon dioxide in the atmosphere (approximately 0.83 per cent) was increased, it could lead to significant global warming. I have never met a geologist or leading scientist who believes adding more carbon dioxide to the atmosphere will have any significant effect on climate change, especially not from a relatively small country like Australia. I have, however, had the benefit of listening to leading scientists and reading their work. How would a carbon tax or MRRT on thermal coal (used for moist of Australia’s electricity generation) economically impact Australians? Electricity costs would go up, for a start. Almost every item that you can think of requires electricity at one point or another in its production, storage or distribution. It is not just the rich mining companies that would be affected, but every man, woman and child in Australia, not to mention blue collar workers whose jobs in steel mills, power stations and manufacturing facilities would suffer or disappear. The sooner we can, as a majority, let our politicians know that Australians are fed up with wasting taxpayers money and do not want a carbon tax or MRRT on thermal coal (at least), the better. Let’s take a quick look at some estimated from third party sources – which our government is not telling us. And what for? It won’t stop China and India from continuing to emit carbon dioxide on their own account. These nations understand that you cannot raise a populations standard of living without also increasing energy consumption. ‘Since December 2007 electricity prices have gone up 44 per cent. Water has gone up 46 per cent. Gas has gone up 28 per cent. Health costs have gone up 15 per cent. Education costs have gone up 17 per cent. Bread has gone up 12 per cent. Grocery has gone up 10 per cent. Rent has gone up 19 per cent, and much more in places like Western Australia. If you’ve got a typical mortgage, it’s costing you $500 a month more. The last thing you want is a government which is going to make a difficult situation worse with unnecessary new taxes and that’s why I am implacably opposed to the carbon tax. Money is being waster left and centre on the carbon tax, yours and my money; taxpayers money. A grand new unnecessary building in Canberra, endless trips overseas, salaries and other perks for too many on the carbon tax gravy train, and so on, are all at the taxpayers expense. Do we really want more taxes, so that we can be ‘compensated’ for our losses due to the carbon tax and/or MRRT on thermal coal? How many bureaucrats would be required for such nonsense? And who’s going to pay for all the lost jobs? Taxpayers. Families and industries need to be told that carbon tax and the MRRT (on thermal coal at least) have been abandoned, so that we can all stop adding this burden to our increasing national debt. But to get t the position we must bother to turn up at the ‘No Carbon Tax’ and ‘No MRRT’ rallies, email our politicians, write to our media industry, take part in talk-back radio and support organisations and people with the guts to stand up on these important issues. We can’t wait any longer for Australia’s business ‘leaders’ to finally stand up on this issue! If we don’t stand up, we run the risk of seeing the consequences of such non-action in Australia and I sincerely ope we don’t. The sooner the carbon tax and MRRT are gone the sooner we stop wasting our time and money on these endeavours, and the easier it will be to finance for investment in Australia." 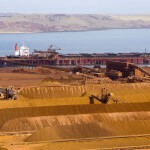 To view the full article, as it appears in Australian Resources and Investment, click here.